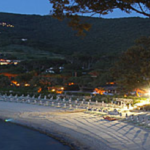 The GWADW2019 – From Advanced Interferometers to Third Generation Observatories – will take place from 19-25 May 2019 at Hotel Hermitage, La Biodola, Isola d’Elba. After the detection of a Binary Neutron Star (BNS) merger, following earlier Binary Black Hole (BBH) merger detections, Gravitational Wave Detection Astronomy is now entering a new phase with a year long observational period beginning early 2019. Multimessenger Astronomy is coming with new questions that can be only partially answered with present instruments, even taken to their limit performance. In the medium term Gravitational wave astronomy is calling for third generation observatories, surveying with high statistics source populations while recording also fainter, remote or low rate sources. The design of third generation observatories is entering a detailed phase while the construction of the best possible instruments in the current sites is starting. All this requires detailed studies and experimentation to master the difficult challenges being faced, learning from present instruments and exploring new frontiers. This workshop is the main place where new ideas as well as research and development for future gravitational wave detectors are discussed, covering all instrumental aspects of gravitational wave detection.